The Kit comes complete with all parts to fit any Focus Mk3 ST250. The Original Ford Large Caliper Bolts will fit from the ST250 and are not supplied in this kit. The Pumaspeed Workshop team are ready to fit the Focus RS Mk3 Rear Brake kit (Suits ST250) in our Head Office located here. Therefore making parts and labour a total cost £820.99 (inc. VAT). 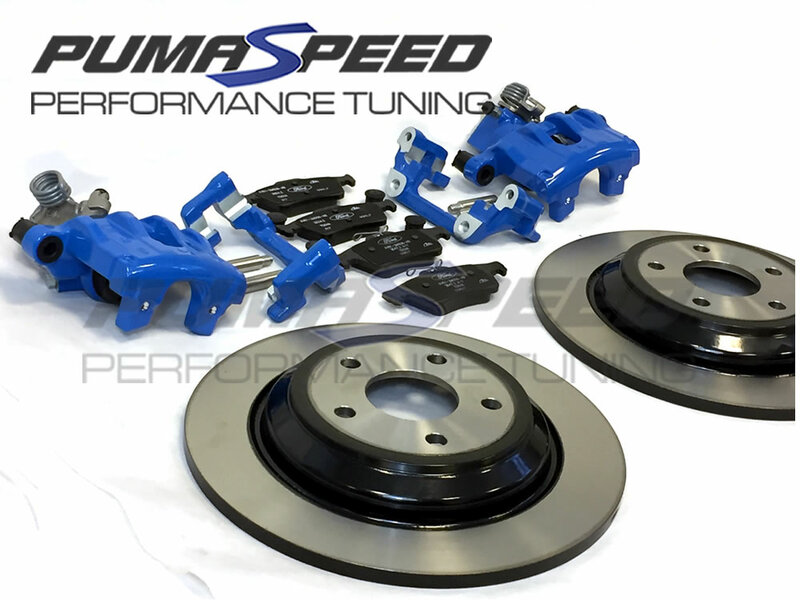 Pumaspeed have a specialist distribution team that can dispatch the Focus RS Mk3 Rear Brake kit (Suits ST250) to any destination worldwide.